A Chicago police officer shot someone who accelerated a vehicle toward the officer late Wednesday in the Lawndale neighborhood on the West Side. 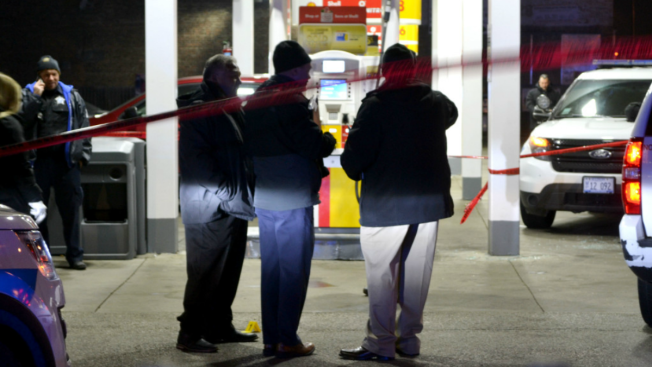 The shooting happened about 11:20 p.m. in the 3900 block of West Roosevelt Road, Chicago police said. Officers saw a vehicle in a gas station parking lot matching a vehicle wanted for firing shots earlier in the evening, police said. The officers approached its driver on foot, police said. The male driver of the vehicle accelerated toward the officers and struck a patrol car and fence, according to police. An officer then discharged his weapon and shot the person in his wrist, police said. The person was taken to a hospital, where his condition stabilized, according to police. No other injuries were reported. A man who identified himself as the uncle of the person shot said he is 16 years old. The Civilian Office of Police Accountability was investigating the shooting. The officer will be placed on desk-duty for 30 days, according to protocol.